"Adorama, an electronics store on West 18th St. in Manhattan, bills itself as, “more than just a camera store.” On July 5, the store found itself uncomfortably involved in more than cameras, as it became embroiled in the heated feelings surrounding the Walk Away Movement. 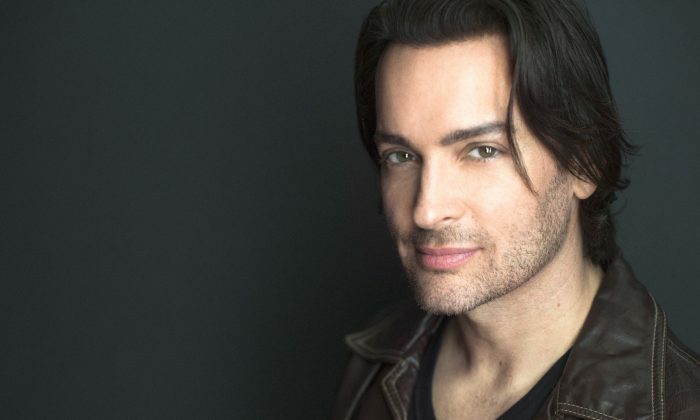 Brandon Straka, the founder of the movement that encourages Democrats to walk away from their party, had gone there to purchase media equipment for his burgeoning role as a mediator between the left and the left’s apostates: Democrats who find themselves on a spectrum from loving President Donald Trump to hating the hatred of Trump and his fans. Straka, who’d just had a very busy week on national and international television interviews, had spent over an hour carefully selecting equipment he needed in various departments of the multi-tiered mega-store. The final piece of equipment he needed was a microphone, so he was sent upstairs where he was recognized at the counter by a customer in front of him. “I saw you on Tucker! [the conservative “Tucker Carlson Tonight” show on Fox],” said the excited customer. “You’re that Walk Away guy!” He wanted to have his picture taken with Straka, and Straka happily obliged. Then the customer left, and Straka told the store clerk what kind of microphone he wanted. Straka felt shocked. This was his first experience of a public shunning, with a stranger, though he had experienced it with friends, and worries it could happen with clients, in his work as a freelance hair dresser. Stunned, Straka went downstairs. He composed himself, and made a decision not to say anything. Instead he told another clerk what he needed and to his dread, the clerk said they needed to go get it from the clerk who had just refused him. He didn’t want to have to start over at another store, was pressed for time, and had spent considerable time selecting his items. The other salesman came over to Straka and said, “Let’s go back upstairs.” Straka waited for about 20 minutes, and this time the salesman returned with the microphone and Straka was able to pay and leave. Walking out of the store, he said: “I was shaking. I was hurt. I had this huge adrenaline rush. I felt embarrassed and I also felt nervous. “At every station of the store, I’d given them my personal information. What if this kid decides to go into the computer and dox [to publish private information, as in a phone number or address] me? He didn’t feel the store’s management should be informed. “The Adorama Management Team deeply regrets the incident involving an employee in our store. Please know this is not who we are, and does not reflect the position of our owners or other staff members. This is being taken seriously and is being addressed with the highest priority.”"